BMW has long made machines that embody its “Ultimate Driving Machine” motto, but some of its more recent products have been more emblematic of the company’s other, softer, and less focused tagline, “Joy.” For example, instead of a thrilling, satisfying roadster, the Z4 is aboulevardier more likely to be parked among a sea of beige luxury SUVs at the country club than spotted hustling over mountain passes. Given the brilliance of nearly every other BMW, the unfocused handling of what should be one of the company’s sportiest cars is even more of a bummer. The Z4 is now available with an extra jolt of joy. The Z4 sDrive35is flaunts more power, more force and more intensity than ever before. Underneath the hood, an even higher-performing 335 hp engine promises to deliver a fiercely fast ride. 3.0-liter dual overhead cam (DOHC), 24-valve inline turbocharged 335-horsepower@5900 rpm, 6-cylinder engine with TwinPower Turbo technology and Double-VANOS steplessly variable valve timing giving SAE torque 332 @ 1500. 0 to 100 Kph in 4.4 sec and Top speed is 249.44 Kph. The superior performance of the BMW Z4 sDrive35is is in large part due to the 7-speed sports automatic transmission with double clutch. In addition to the automatic mode, it can be operated via an electronic gear selector switch or by using the shift paddles on the steering wheel. Fast, fluid gear changes without any interruption of power make for exceptionally smooth acceleration and contribute to the car’s great fuel efficiency and low emissions. The Z4 sDrive35i's turbocharged inline six-cylinder engine with high-precision direct injection feeds fuel directly into each cylinder giving you greater torque. That means quicker response and power on demand and increased fuel economy in all driving conditions. Plus, our patented Vanos technology allows the engine to breathe more easily, which means greater power output and optimal fuel-efficiency. The enhanced engine management system of the BMW Z4 sDrive35is includes an electronically-controlled overboost function to briefly increase torque under full load from 332 lb-ft by another 37 lb-ft. This temporary torque peak of 369 lb-ft gives the car a significant increase in acceleration. Part of the M sports package, Adaptive M suspension with central control unit processes the data delivered by the three acceleration sensors and controls the dampers for added agility without loss of comfort. 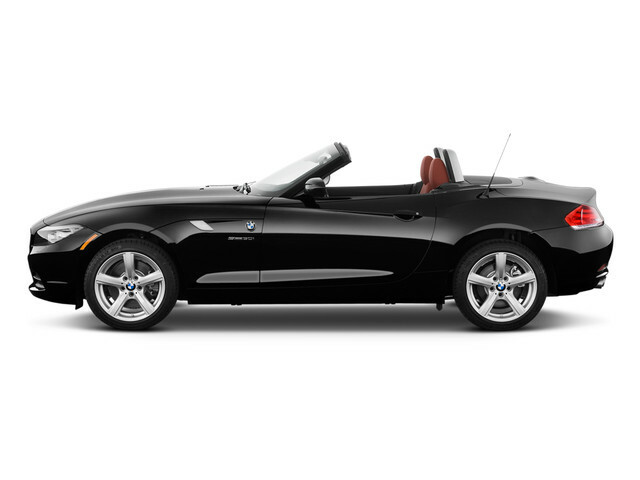 The BMW Z4 sDrive35is offers outstanding power and performance without an increase in fuel consumption or emissions. This balance of performance and fuel efficiency results from the fundamental design and layout of the BMW inline-6, which combines TwinPower Turbo Technology with high precision direct injection. The Servotronic Electric Power Steering (EPS) on the BMW Z4 sDrive35is features very sporty programming, focused to provide intense and clear steering feedback to the driver. This enables the driver to turn-in with remarkable precision and confidence at all vehicle speeds. Remaining true to its roadster heritage, the Z4 features a long engine hood, lower belt and trunk line and low seating position. Inside you'll find more glass area, providing lighter and greater visibility than a hardtop for a relax-and-enjoy-the-ride feel. The driver gets the royal treatment with a refined driver-oriented interior and special accent surfaces like Satin Silver (30i), Brushed Aluminum (35i), or optional Ash Grain Wood trim. Choose from Black, Canberra Beige, or Coral Red leather. Or select the optional Exclusive Ivory White Leather Package with Anthracite wood trim, and Sport Seats covered in luxurious Nappa Leather. Introducing the first-ever retractable hardtop in BMW Roadster history. Closed, it becomes an integrated part of the exterior design. Open it with a touch of a button and, in 20 seconds, it blends discreetly with the elegant look of the rear. This revolutionary feature increases ease of entry for both you and your passenger and provides 40% more glass than previous models, offering an enhanced sense of space and improved visibility. Embracing the sport-oriented ''s'' tradition, the Z4 comes with five-spoke 18'' light-alloy wheels with mixed tires, with 19'' rims available as an option. Create a new soundtrack for every drive by choosing from thousands of your own songs or from an extensive range of digital radio stations. Your iPhone, iPod, or other MP3 device easily connects to the optional iPod and USB adaptor for stereo playback. Skip tracks, access up to five playlists, store music on your vehicle’s optional hard drive, and adjust the volume through the car’s steering wheel controls and/or iDrive controller to allow you to keep your eyes where they belong — on the road. Vary your music with the HD Radio® or SIRIUS Satellite Radio options. More than 1,300 AM and FM stations have been upgraded to HD radio technology with more than 600 of the FM stations also offering “multicast” channels. Song artists and titles are shown on your display screen, so you’ll always know exactly what your favorite new tune is. SIRIUS Satellite Radio delivers 60 commercial-free music stations and more than 40 news, sports and entertainment stations, ensuring you’ll find something that suits your mood. A one-year subscription is included. The redesigned BMW iDrive with optional navigation is our most intuitive entertainment and navigation system yet. Full-screen maps display your destination directions and traffic information. And, if you are a safety plan subscriber with the optional BMW Assist + Bluetooth System, it will even redirect you in the event of heavy congestion. Developed to operate by touch to keep your eyes on the road, the new system features a larger 8.8-inch display screen with high-resolution graphics, an extended range of functions, and an optimized menu structure with a more intuitive interface. Get better stability and control on tough road conditions through a system that continually processes data from the anti-locking wheel-speed sensors. When a rear wheel begins to lose traction, the engine’s electronic throttle and ignition timing are modified to reduce torque. Part of Dynamic Stability Control, All-Season Traction can act on each rear brake individually or simultaneously as needed, to help bring wheelspin under control. Our enhanced braking system does more than just brake. In rain, the automatic windshield wipers trigger the brake-drying feature, which presses the brake pads to the rotors to dry them. When you’re stopped on a hill, Start Off Assistant prevents the vehicle from rolling. Quickly taking your foot off the accelerator triggers Brake Standby, preparing the brakes for emergency stopping. And, if you’re on a downhill slope or repeatedly engage the brake, Brake Fade Compensation helps to keep consistent brake pressure when your brakes heat up. *Driving over rough or damaged road surfaces, as well as debris, curbs and other obstacles can cause serious damage to wheels, tires and suspension parts. This is more likely to occur with low-profile tires, which provide less cushioning between the wheel and the road. Be careful to avoid road hazards and reduce your speed, especially if your vehicle is equipped with low-profile tires. The rollover safety system features two steel rollbars behind the headrests and a rollbar of high-strength tubular steel integrated into the roof for maximum safety. 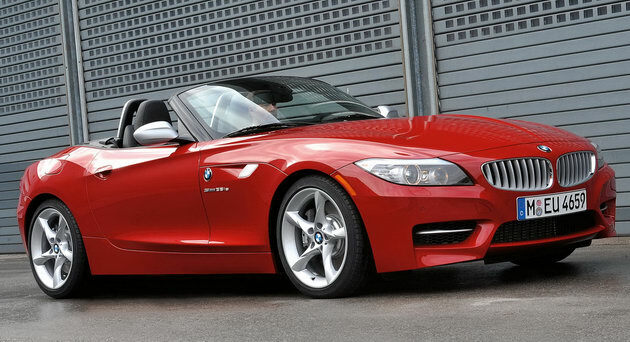 Price : The starting price of BMW Z4 sDRIVE35is $64,200 ( excluding sale tax). Luxurious Cars! As I have found one of epic features about these cars. The inner features of these cars are really looking solid and exceptional. I am totally surprised to see this one. Thanks for sharing.